As an owner and director in the business [Nikki Smith] brings to OmniaLegal extensive skills and expertise in marketing, IT and finance that solicitors cannot offer...she greatly strengthens our business. Notably, she has been indispensable in the creation and implementation of our software. Based in Bath, OmniaLegal Limited offers a range of bundled and unbundled legal services and products to both individuals and businesses, many on a fixed price basis. 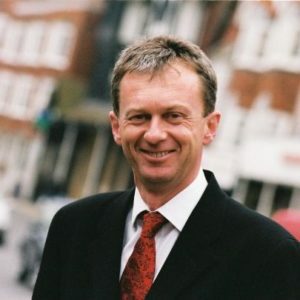 Director Martin Powell was formerly the Managing Partner of Withy King, a large regional (South West) law firm. OmniaLegal Limited is owned and run by three persons. Two of us are solicitors: myself and Robert Derry-Evans, who was formerly the Managing Partner of the City firm CMS Cameron McKenna. The third person, Nikki Smith, is not a solicitor. Her background is in marketing, IT and finance and she led a large conveyancing team at Withy King. We have described the firm as a “legal services cooperative” because prior to obtaining our ABS Licence we formed alliances with other businesses to provide a full range of legal services and products. Two examples of “products” include wills and powers of attorney, for which we offer fixed pricing. As regards our products, clients can purchase them online and in doing so they can opt for an additional “managed service” with a friendly voice to guide them. It has been our experience that most clients are not quite ready to go online completely — they would prefer to pay a bit more in order to have some guidance, even if the rates they pay are lower than those which a traditional law firm might charge. In contrast to our products, our services are provided in a highly personalized manner. What I mean is that one person or a small team handle a matter from cradle to grave; the client is not bounced around from department to department. Our clients like that we offer a continuity of approach, focused on them; not the way the law firm is structured internally. Before we obtained an ABS Licence we were not regulated and for that reason we had to form alliances with regulated providers in order to offer a full range of services. Now that we have obtained our ABS Licence, we will bring in-house many of the products and services that before we could only offer through those outsourced providers. You might wonder why we offer both highly personalized services as well as less personalized products. The reason for this is as follows: sometimes clients behave as clients, and sometimes they behave as customers. Let me put it another way: not everyone who is in the market for a watch wants the same kind of watch. Some want a Rolex and others want a Swatch, for example. It depends on their perception of what they want, both tell the time but are different brands with different mechanics. It is the same for legal services. Some clients want full service, and are prepared to pay for it. Others want quick and simple solutions. Their perceived value of the solution is low, and they are not prepared to pay high fees for it. With respect to our products, we see our principal competitors as some of the internet providers like Cooperative Legal Services, RocketLawyer, and other sites where you can download documents. That being said, there are very few firms that combine products and services in the manner that we do. We offer our clients a holistic approach with a strong reputation, choice and high value for money. Traditional law firms struggle to provide all these. We sought an ABS Licence for two reasons. The first is because it offers us the best framework for us to serve our clients. It allows us to combine under one roof the large range of services that our clients seek. This allows us to better control the services, something that has been difficult to do under our old outsourcing model. The second reason we sought an ABS Licence was to be able to involve Nikki as an owner and director in the business. She brings to OmniaLegal extensive skills and expertise in marketing, IT and finance that solicitors cannot offer. In our opinion, she greatly strengthens our business. Notably, she has been indispensable in the creation and implementation of our software. Further, she understands law firms very well, has experience in managing firm-wide financial accounting and reporting and a large conveyancing team. With her, I know that the firm is in good hands. The fact that Nikki is not qualified as a solicitor does not mean that she is not highly skilled, and does not mean that she acts unethically. It’s quite arrogant to suggest that only lawyers should own and run legal businesses, because only lawyers understand how to do so. Not only lawyers can be trusted to act with integrity. In England, the ABS structure allows us to embrace the talents and skills of persons who may not be lawyers, but who can help us to grow our businesses. Certainly in some instances it makes sense to merely employ such persons, without offering them ownership. In other instances, and notably when the person in question is as valuable as any solicitor partner, then it makes sense to make that person an owner of the business. It’s churlish to claim that there is something wrong with that. It’s indefensible to deny those businesses such opportunities for growth. People are a business’s greatest asset. For 11 years I was the managing partner of a traditional law firm. I believe that traditional law firms have many strengths. I believe that law firms can benefit greatly from the fresh approach and attitude that non-lawyers can bring and notably from people who have experience with providing high quality customer care. You can’t get the best out of those people without offering them management authority as well as the rewards of ownership.